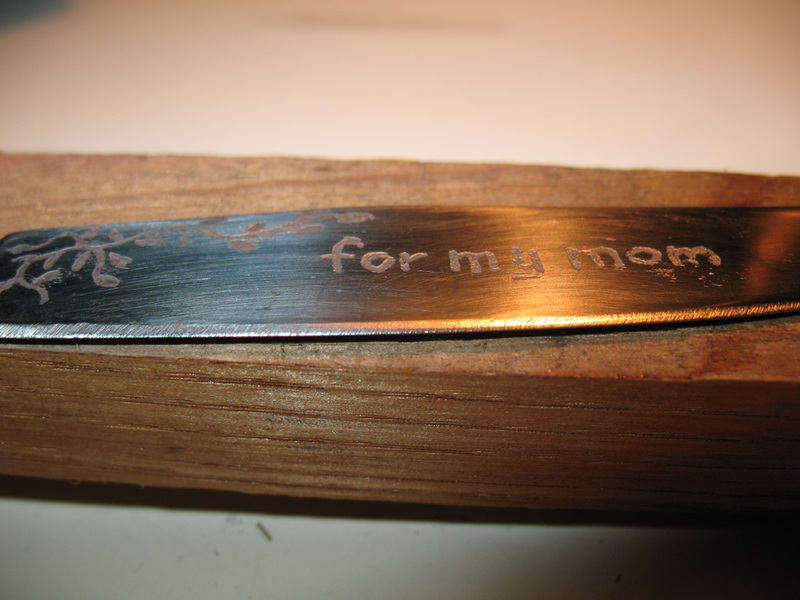 I just came across this instructable here about how to do some simple etching on steel. 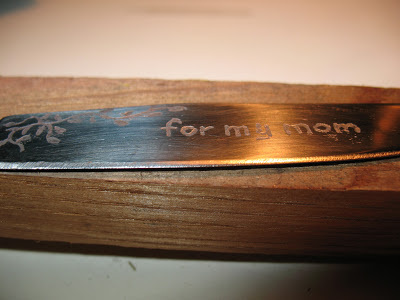 The idea is to cover your knife blade or other piece of steel with nail polish, scribe a text or pattern in the nail polish and then using electricity etching the metal. Be sure to use a battery (9 volt) and for safety reasons, don't use any wall mounted power supply. This is really fun to do. 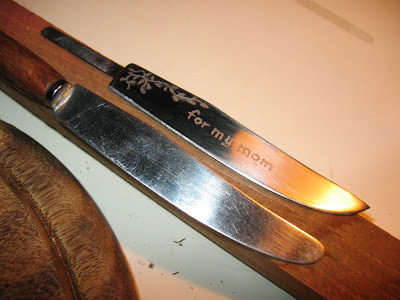 To get more advanced you could try getting stickers made from your computer designed logo or illustration and use that instead of the nail polish for a real professional look.